The British Gazette » Grammar Schools: We agree with Angela – up to a point! The British Gazette has a lot of time for Mrs Angela Rayner. This is a lady whose heart is in the right place and unlike some other members of her party has a refreshing tendency to speak plainly. Educated at Avondale School, Stockport, Mrs Rayner (née Miss Bowen) worked for Stockport Metropolitan Borough Council as a care worker before being elected as a UNISON union representative. She served as Convenor of UNISON North West, the most senior UNISON official in the region. 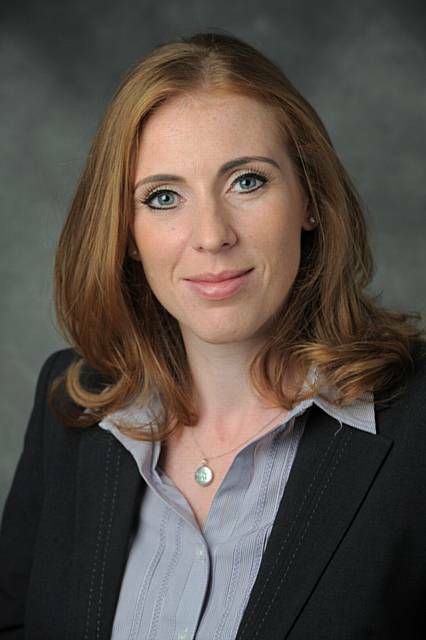 Mrs Rayner was elected as the Member for Ashton-under-Lyne at the 2015 general election. Comrade Corbyn appointed her the Shadow Education Secretary. It is for this straightforward approach to politics that we feel Mrs Rayner to be such an asset to Parliament. Let us however make the British Gazette’s view clear: we support the setting up of new grammar schools. We do so however because we want to see the children of the families whose interests Mrs Rayner is passionate to promote, benefit from these. As it is with companies, so it is with individuals. Also, national economies. This is because those businesses in that nation make up it’s economy. The more successful the businesses, the more successful the economy. This in turn leads to more profits. These profits can them be taxed and the monies thus raised spent on those things such as Mrs Rayner cares most about. Now, one of the things Mrs Rayner is concerned about is the level of wages for working people. Having been a trades union official and a member of the Labour Party the Editor would be staggered were she not! If asked, Mrs Rayner would undoubtedly suggest that the UK should not be involved in a “race to the bottom” so far as new employment creation is concerned. Instead she would suggest that high skilled, high paying jobs should be created. The British Gazette would wholeheartedly concur. For this to happen there needs to be a good and regular supply of high skilled individuals. This means that we need an education system that produces results. For this to happen it is important that selective education should exist but it is equally important that this should not exist in isolation. It is important that the education of those children not in grammar schools be given importance as well. The whole point of selective education is the realisation that children are different. That some are academically able whilst others are not, or less so. Many of those children who are not academically able nevertheless have practical abilities that should be encouraged. This of course was the great failure of the old secondary moderns. It was the disastrous results produced by the secondary moderns that “did it” for the grammar schools. The secondary moderns failed because they simply attempted to recreate the grammar school curriculum but at a lower standard. Thus, children and the grammar schools sat for the General Certificate of Education at “O” level and then at “A” level; the children at the secondary moderns sat the Certificate of Secondary Education which was widely disregarded by employers as useless. The original idea of the 1944 Education act was to have the secondary moderns teach a vocationally orientated curriculum. This however never took place largely because the teachers were not qualified to deliver this. Instead, these academics delivered a “dumbed down” version of the grammar school curriculum. Which cause a whole series of generations of children to fail. The Labour Party’s solution was to create the Comprehensive school. This was basically a merger of a grammar school and a secondary modern school. Because no attempt was made to address the fundamental problem – teaching “non academic” children an academic curriculum – the Comprehensive schools have failed. So, how do we solve the problem of educational attainment? Well the first thing to do is to recognise the nature of the problem! Before you have done that you cannot begin to solve this problem! The nature of the problem is this: fitting square pegs in round holes. It does not work! Children who are not or less academically inclined should be provided with an education that matches their aptitudes and abilities. This will often include “practical” subjects. An important aspect of this is that the children should be able to achieve success. Success is very important to a child. It raises their self esteem. It gives them confidence. Failure of course does the opposite! Now to return to the question of grammar schools. Mrs Rayner will want to know how such schools can help children from deprived areas. In the absence of a coherent answer from the Tories, it falls to the British Gazette to provide one for her! Mrs Rayner needs to consider the catchment area when looking at a grammar school. Setting up a grammar school near the centre of Stockport which has a Stockport-wide catchment area would enable children from across the city to attend. Places of course would be limited. These places should/would be subject to the prospective entrant passing an entrance exam. This should/would not be the 11+. The 11+ exam was a compulsory exam which all children sat at 11. These exams would be optional. There would be no compulsion. If a pupil was considered bright enough and the parents sought this, a pupil could sit the exam. If the pupil passed/their score was over a set minimum, they would be offered a place at the grammar school. This would enable the local education authority to target first those areas of most deprivation. If the grammar school was of a sufficient size is likely that there would be places still available after all the children from the deprived areas had been selected. These places would doubtless be filled by middle class children from well to do areas. The existence of such a school would give an enormous boost to the life chances of those children attending from poor and under privileged backgrounds. One further thing Mrs Rayner should be aware of: such an education provided to such children has a high probability of ensuring a supply of very able prospective parliamentary candidates to the Labour Party! What I find so annoying about the argument against Grammar schools is that they so often come from people who benefited from this very system. I am also fed up with the description of ‘bog-standard’ Secondary schools, my brothers and I attended such an establishment which did not become ‘bog-standard’ until it was turned into a Comprehensive. We all had a better education than seems to be the norm nowadays and went on to lead successful, useful and productive lives (unaided by state hand-outs). What seems to be forgotten now is the other avenues of education that were available to the less academic, the ‘Middle Schools’ Technical Colleges and apprenticeships, all gone the way of tried and tested means of giving most young people a chance to get on in life. Also, when I left PRIMARY school all of my peers could read, write and do basic maths. We now have pupils leaving Secondary school without these skills and to the country’s shame, it doesn’t rear its head as the major problem it should be seen to be..